It’s ideal for both of those looking to break into professional coding, as well as the people just starting out. 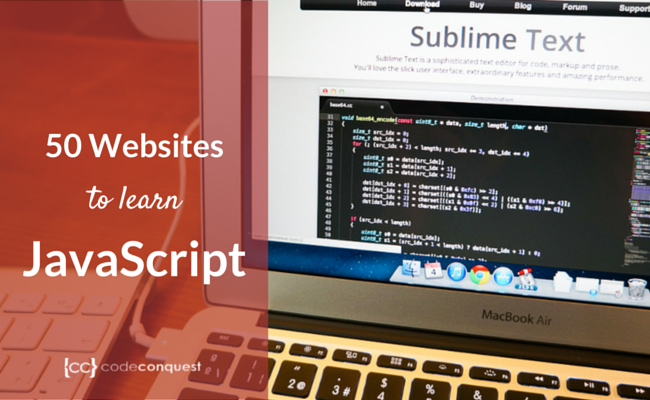 When it comes to learning how to code, it is fairly easy to teach yourself. You don’t need to spend thousands of dollars for a degree or one of the popular coding bootcamps. One of the best ways to hone your skills is through practice. That is, trial and error. We’ll explain which of the options below are more suitable to your tastes — whether you’re at a beginner, intermediate or expert level. Keep in mind, the first ten resources on this list are some of the best around. The following forty, then, are not listed in any particular order. Price: Starts at $1 after 10-day free trial. This is yet another book that’s available for viewing online for free and distributed through the Creative Commons license. It’s a good resource for intermediate and experienced programmers. Those with less experience may want to look elsewhere, but it can serve as a great resource for specific functions and elements of the language. Having trouble choosing one of the frameworks out of all the options that are available? This easy to use tool will help you discern which is ideal for your project. This site offers some great tutorials for advanced coding concepts. Newbies may have a tough time understanding some of the concepts and lessons covered, but there are a few more basic guides hiding away on the site. Price: Starts at $29 after the free introductory course. The 2ality blog is another free resource from Dr. Axel Rauschmayer, the developer responsible for the book Speaking JS. His blog is excellent for intermediate to experienced coders that want a deeper look at the language. Most of his posts are about working with advanced functions and elements. This guy has been listed three times, because he’s incredibly resourceful. His blog offers a lot of useful tips for experienced coders. He also publishes videos where he discusses working with the language in more detail. You may remember Douglas Crockford from earlier in the list, he’s also responsible for JSLint which is essentially an online code proofreader similar to Grammarly. You’ll want to bookmark this one, it’s an incredibly valuable resource for coders of any skill level. All you need to do is copy+paste your code into the window and it will tell you if there are any syntax errors or problems. It’s pretty strict when it comes to seeking out coding issues, so you may spend a lot of time with decent code — no need to seek perfection, just make sure everything works! If you have no prior coding or programming experience and you want to learn the fundamentals, this is a great place to start. Some of the concepts discussed are a little dated, but you’ll need to build a foundation before you start working on the more advanced stuff anyway. By the time you’re developing web applications or games, you’ll have moved on to another resource. However, if you’d rather learn through a more educational or collegiate format, give one of the many online code schools a try, such as Treehouse, Lynda or Code School. Stay tuned as next week we’ll cover the Top 50 Websites to Learn Mobile App Development! Thanks for providing the rest of the list! I’m definitely going to start to bounce around to some of these other sites–I’m sure most of them cover the same material, but they should have different examples and/or assessments so the practice is beneficial. That’s the problem a lot of times with learning a new language, is that unless you are taking a class with assigned homework, or are actually tasked with completing a project, then you end up not using what you learned–and if you don’t use it, you lose it! Plus I just love to do the assessments–they’re kind of like puzzles. It was great to find such an exhaustive list of top JS learning websites. However, if there would have been a categorization of these sites into groups like basic, beginners, intermediate, and advanced, then it would be much more meaningful for the readers. Thanks! Who are experienced with this resource? What’s really worth to start with? It’s actually a great and useful piece of info. I am satisfied that you shared this helpful information with us. Please stay us up to date like this. Colour Moon Training provides class-room Digital Marketing Training in Vizag. The course has been designed in a unique way and the techniques and optimization process will be teaches as per the current marketing strategy and latest Google’s updates. Colour Moon Training offers Live Training where students can understand easily and develop the work nature in the Companies.